Give your friends and family the gift of choice! 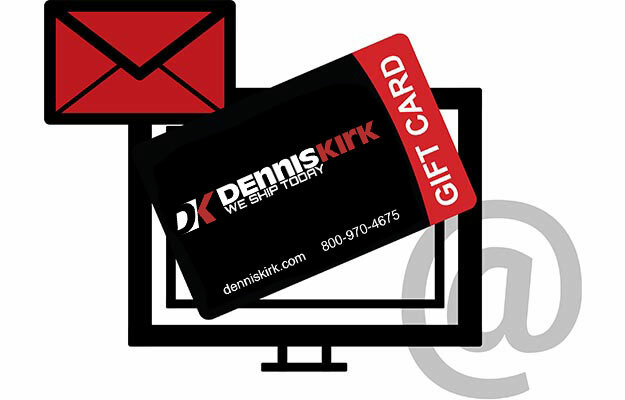 Buy a Dennis Kirk Gift Card Today! Get it by Snail Mail! Call 1-800-970-4686 and use a credit card payment to add to the card balance. Card may be used multiple times until value is fully depleted. Card cannot be redeemed for cash except where required by law. 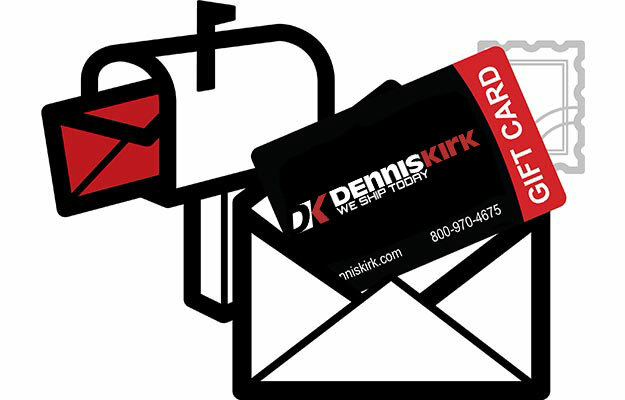 Dennis Kirk, Inc. is not responsible for the use of your card without your knowledge.